Summer, glorious summer. It’s the time of year that you don’t need to spend daydreaming about BBQs and beach days, you can actually go do them! But you definitely need the right foods to accompany you. Think easy, quick, light, low maintenance, crowd pleasers. This recipe hits all of those things. 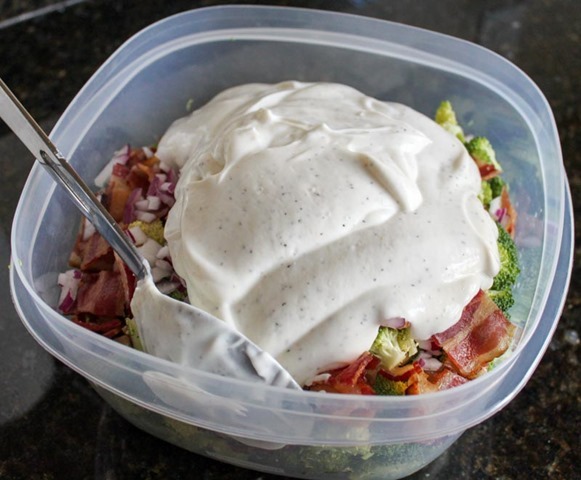 It’s healthy (broccoli), light (greek yogurt instead of mayo), quick (takes like 15 minutes to whip together), and crowd pleasing (because bacon). 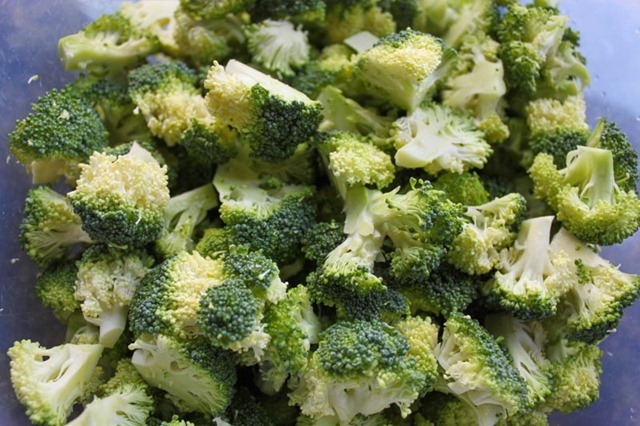 Begin by prepping the broccoli (wash and trim into small florets), bacon (cook up and cool on a paper towel), and onion (mince finely). 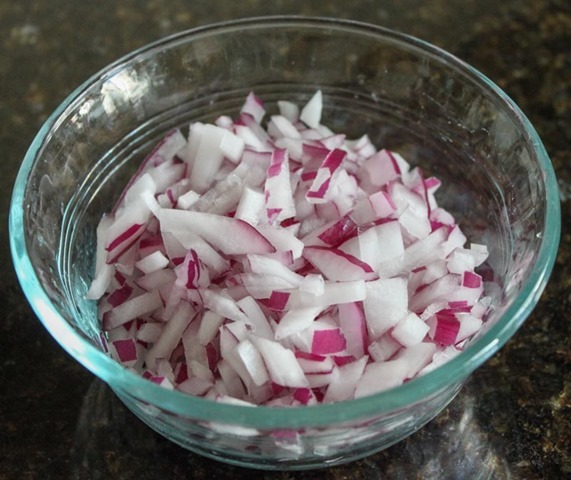 When those three ingredients are all set, toss them in a big bowl (I made this whole dish in a big tupperware for convenience). 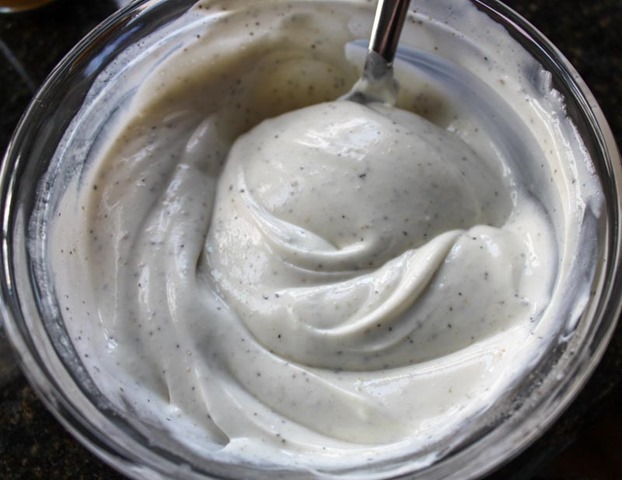 Next, prep the dressing! 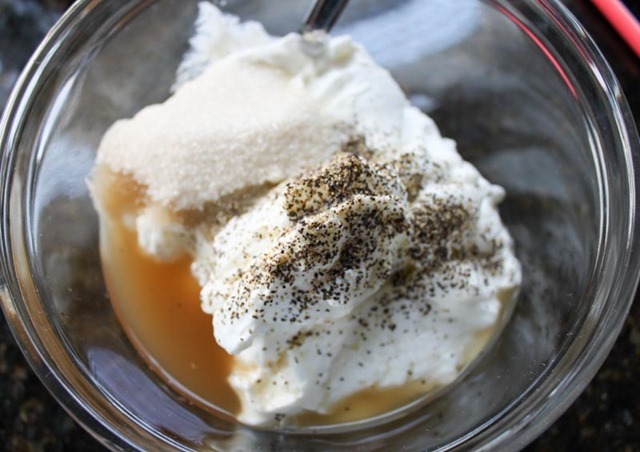 Mix the yogurt, sugar, vinegar, salt, and pepper together in a small bowl. Stir until smooth and thoroughly combined. 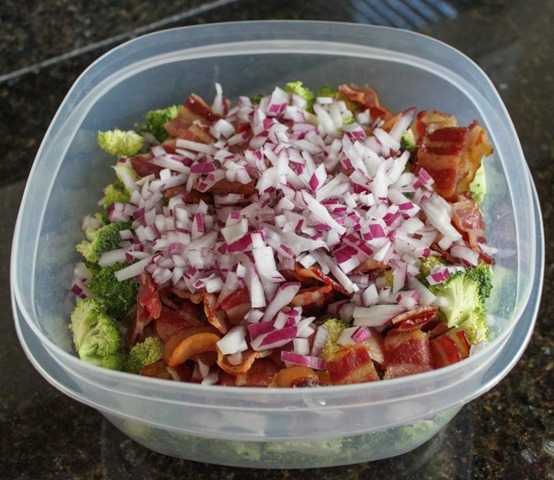 Then – super simple – pour the dressing over the broccoli/bacon/onion and toss to combine. 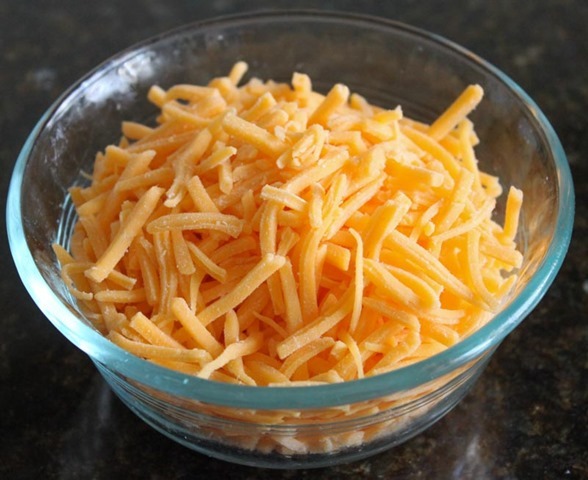 The last step is to incorporate in the cheddar cheese. 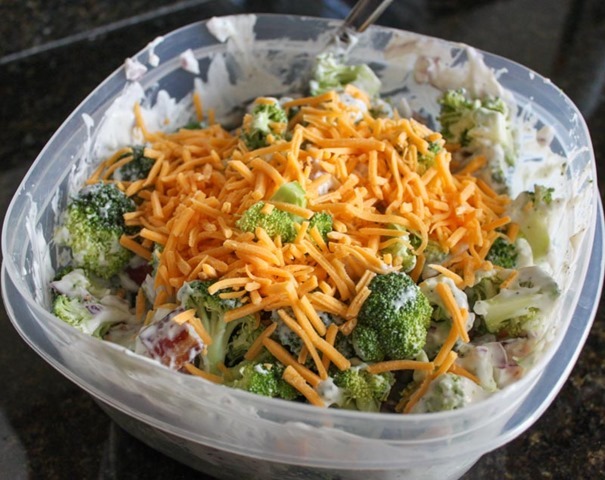 I do this after the dressing has been added to the salad because I find that adding the cheese beforehand tends to create clumps. 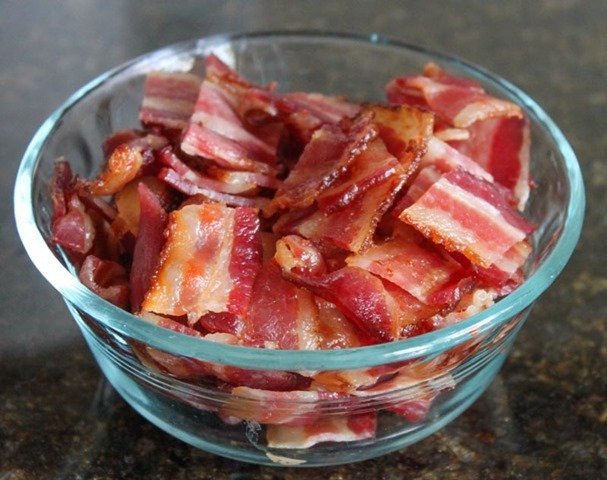 Again, mix together until the salad is uniformly dressed and the ingredients are evenly distributed. That’s it – serve up and enjoy! 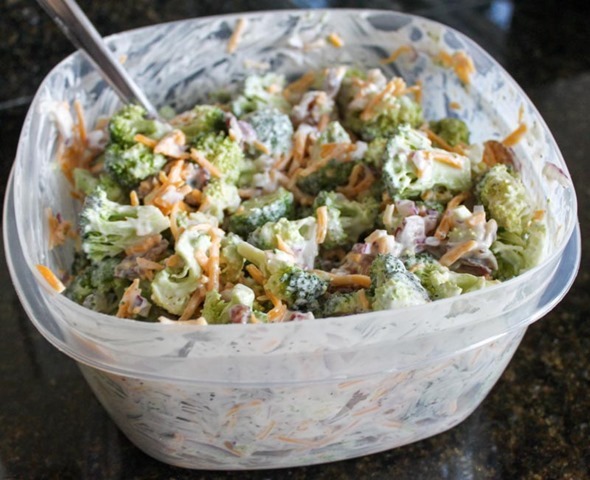 This salad will keep in a tupperware container in the fridge for 3-5 days. 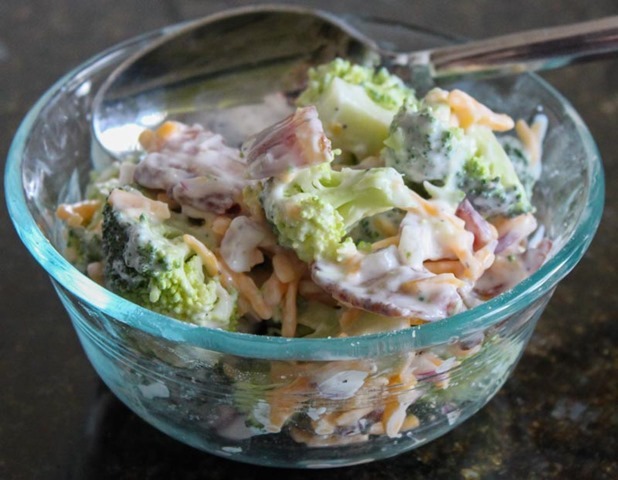 The longer it sits the better it gets (the raw broccoli flavor mellows). 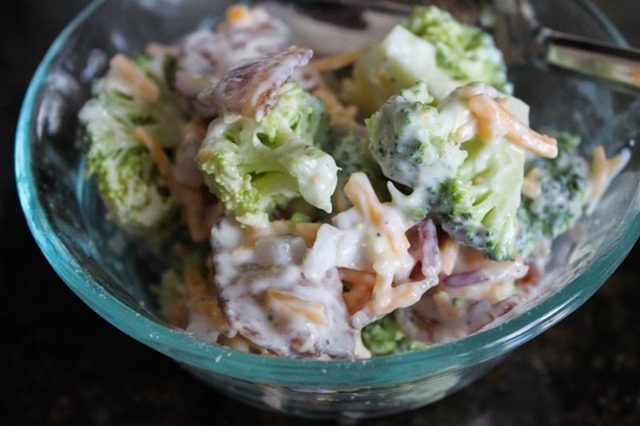 This salad is perfect for any BBQ or just to have as a dinner side – it’s fresh, crisp, and super tasty.